Experience smart security with the ABUS Smartvest wireless alarm system. The system allows you to transform your property into a modern home with reliable, comprehensive security and home automation functions that offer countless possibilities for today’s smart homes. With Smartvest, even installation is made easy. Thanks to its plug-and-play capability, you can turn your property into a secure, smart home quickly and easily, even without any prior technical knowledge. In addition, a free, innovative app is available to guide you through each step. There can be no half measures when it comes to protecting your home from fire and burglaries. 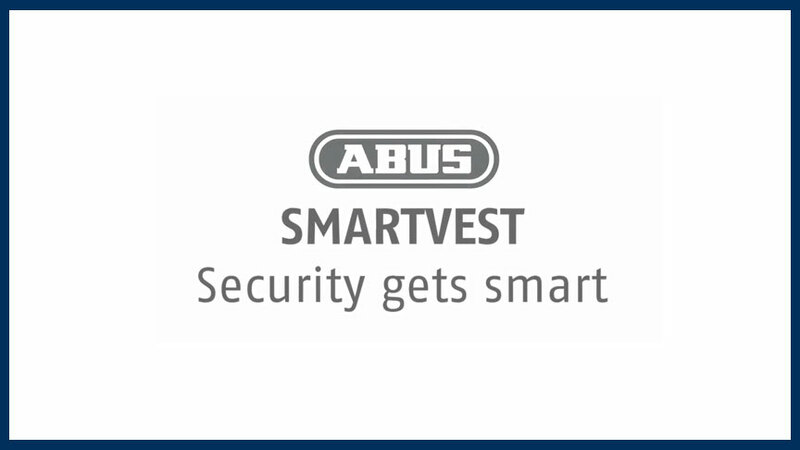 That's why with the Smartvest from ABUS, you have a security product made by specialists so that you can be sure that you can trust in the product when you need it most. Thanks to digitally encrypted wireless transmission and a secure peer-to-peer connection, you can trust that your data can only be seen by one person: YOU. It's more than just a wireless alarm system. It's our promise to you that by buying an ABUS product, you are choosing a device you can trust. Our products are secure, reliable and innovative, and if you spot the Smart Security World logo on one of our products, you can be sure that it is fully compatible with the Smartvest. It's our promise to you that an ABUS product puts you on the right path towards the reality of intelligent interconnection in your home. All Smart Security World products are 100% compatible with Smartvest, and fully integrated into the free Smartvest app. That's right: one app for everything. This video will show you what's already possible, and exactly how 'smart' feels, and you will also hear from others who have already made their lives secure and smart. Smartvest is the core product in the Smart Security World, which offers far more than a conventional wireless alarm system. The Smart Security World ensures security and comfort and opens up an incredible range of options thanks to its intelligent networking of various components and other ABUS products – including outdoor and indoor cameras. Best of all, you can operate the entire system all from a single app. Thanks to the Smartvest app, inconvenient standalone solutions are a thing of the past. Covering installation, access to live video images and control of multiple electronic devices with a swipe or via an automated time schedule the free Smartvest app brings together everything that makes your home smart and, most importantly of all, totally secure – all on a single platform. The whole Smart Security World brought to you in a single app: download it free of charge (guaranteed) for your smartphone or tablet from the App Store or the Google Play Store. What could be smarter than the little details that turn the inconvenient into the intuitive? The alarm view is a one-of-a-kind feature, providing you with everything you need to know about any incident, large or small, allowing you to make a direct call for help to your saved contacts at the touch of a button. Let us illustrate another detail with a common scenario: there will inevitably come a time when you will need to replace your device's battery. As well as letting you know that you need new batteries in plenty of time, the Smartvest app will even guide you step-by-step through the easiest way to change them. Just think about all that time you will save by not needing to hunt for the user manual!